Danvers: Lynda Theriault and her 11-month-old son, Myles, enjoy a quiet moment with a horse at Endicott Park in Danvers. Photo by Mary Catherine Adams/Salem News. 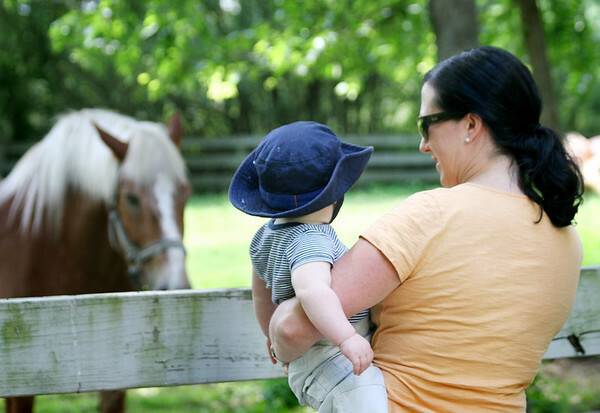 , Danvers: Lynda Theriault and her 11-month-old son, Myles, enjoy a quiet moment with a horse at Endicott Park in Danvers. Photo by Mary Catherine Adams/Salem News.